October means Autumn is officially here, but it’s not all about Halloween. 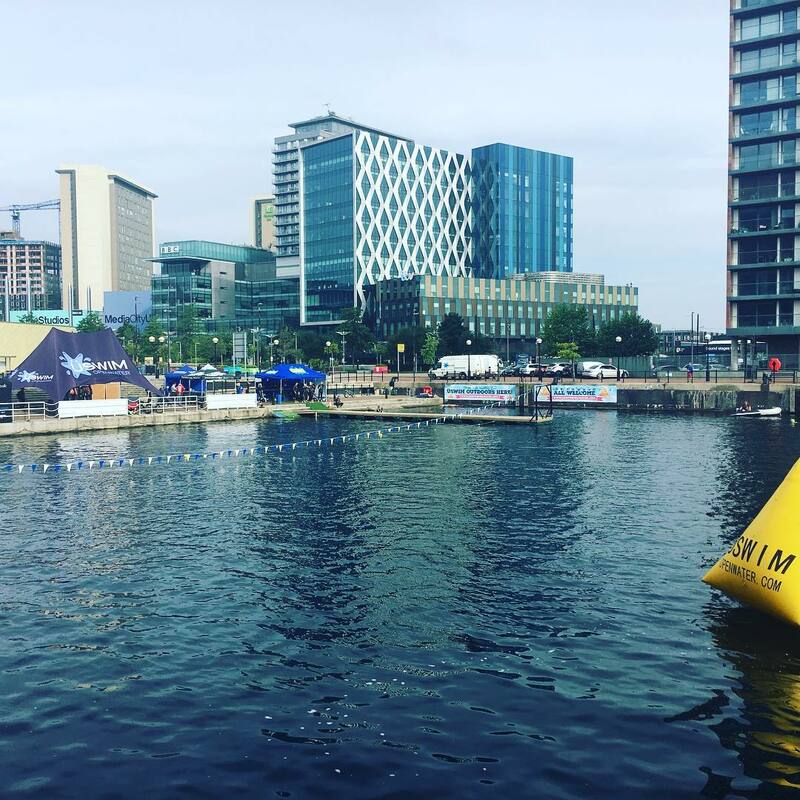 There are a whole host of excellent events taking place in Manchester this month. It looks like our extended summer is officially over, the cold is starting to set in, it’s dark when you get up and dark when you leave work. 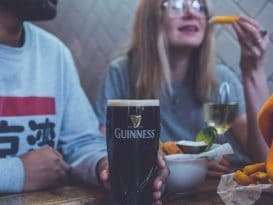 But there’s still time to make the most of the glorious autumnal days with our guide to the best things to do in Manchester this month. 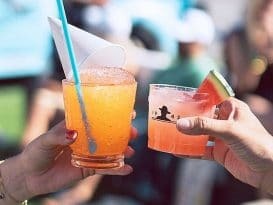 It’s the news the North West has been waiting for; Frenchie Cafe is officially coming to Manchester. 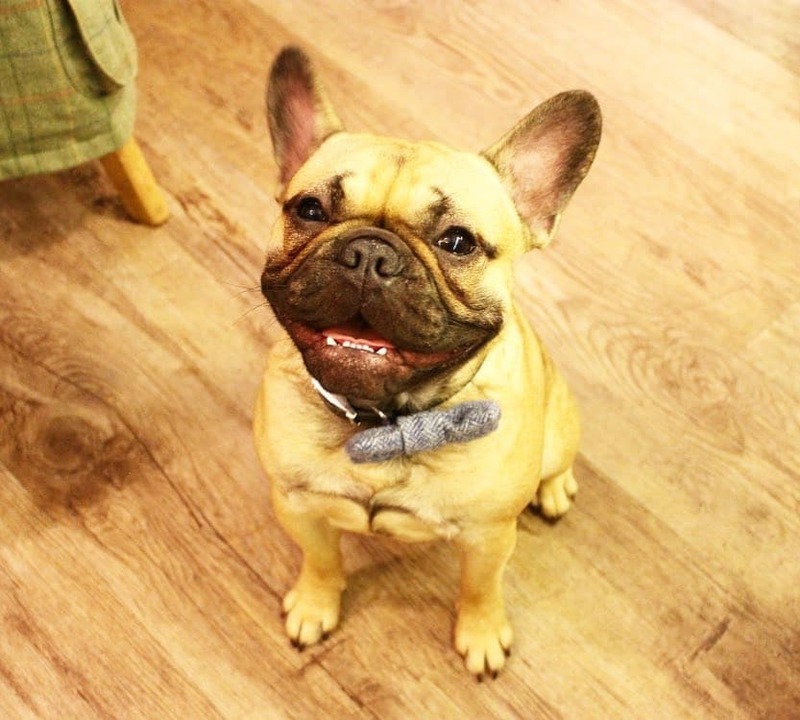 Following the phenomenal success of the Dachshund Cafe, the team at Pug Cafe would like to invite Frenchies (and Frenchie fans) from across Manchester and the North West to visit the pop-up Cafe on November 4 at Yard and Coop. Those wishing to attend will have to be on the ball if they want to get tickets, as previous events sold out in minutes. Find out how to get yours here. Stephenson’s Rocket has returned to Manchester for the first time in more 180 years. 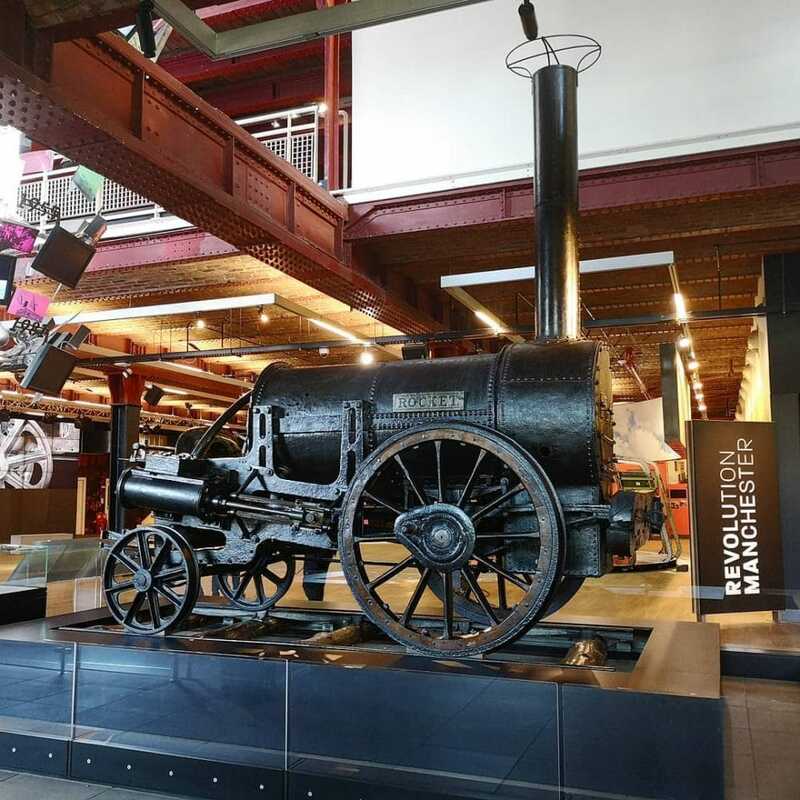 It was built to run on the Liverpool and Manchester Railway, the world’s first inter-city passenger railway line, and in 1829 Rocket won the Rainhill Trials, a competition to decide on the best mode of transport for the railway. This is a once-in-a-lifetime opportunity to see an iconic symbol return to the site of the world’s oldest surviving passenger railway, the terminus of the Liverpool and Manchester Railway, which now houses the museum. 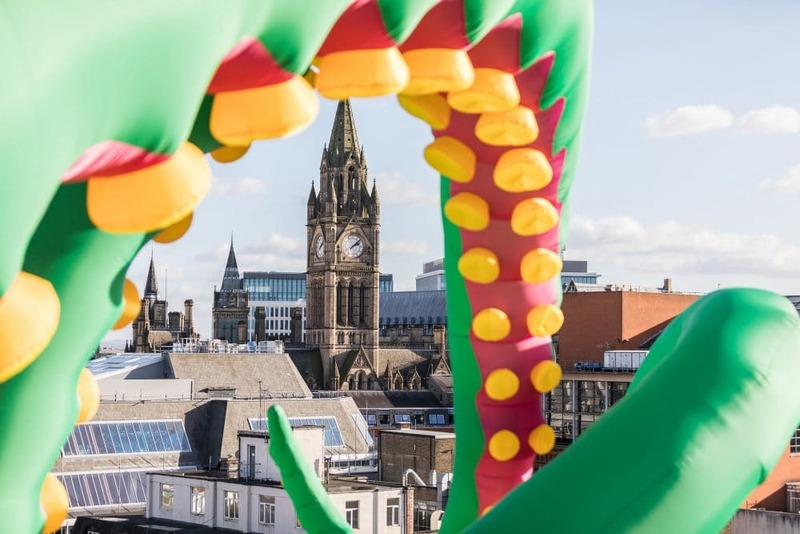 Eight inflatable monsters will wrap their tentacles around Manchester’s rooftops as city-wide spookfest Halloween in the City is set to return. 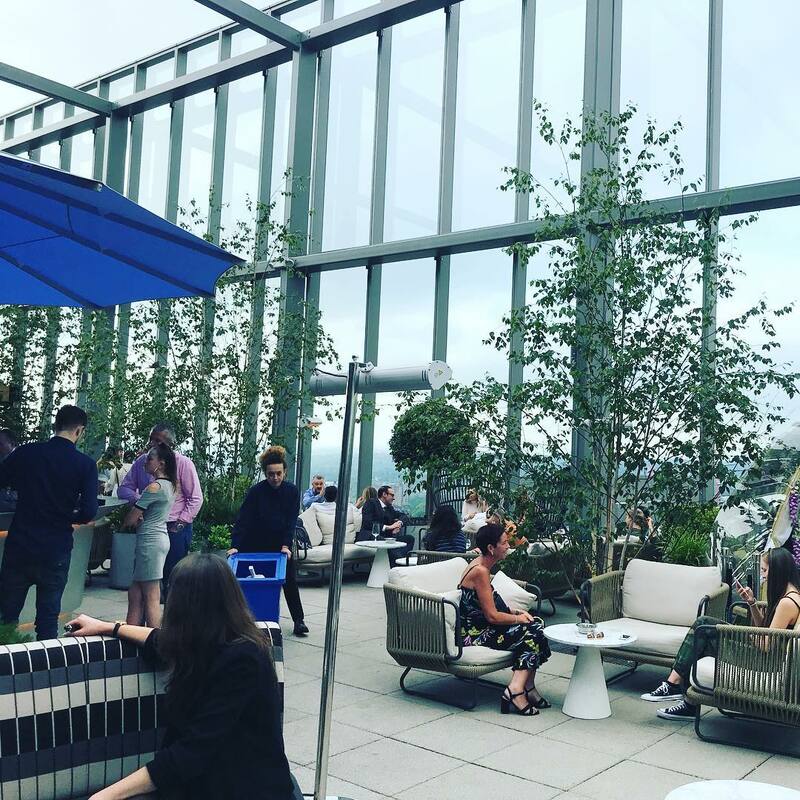 The giant green tentacles, created by artist Filthy Luker, will snake across the rooftops of House of Fraser, Manchester Arndale, Manchester Hall, Mayfield, Piccadilly Place and 35 Dale Street on October 27 and 28. More information here. 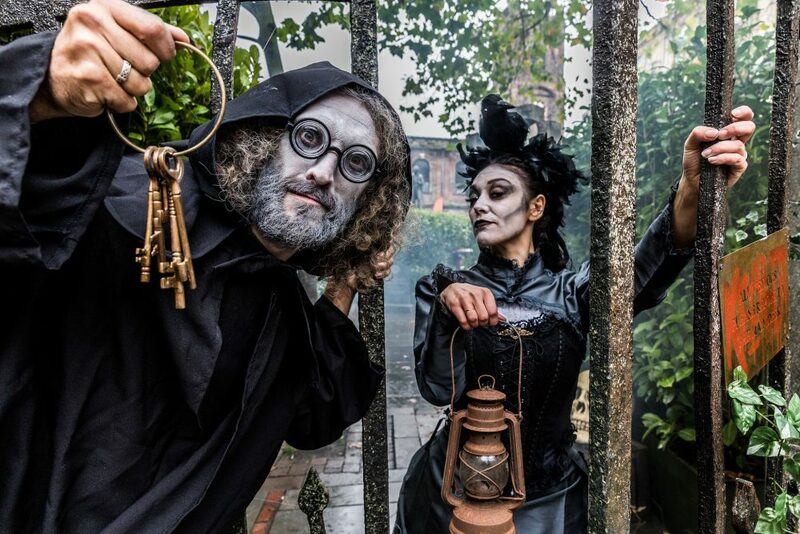 An enchanted forest of 30 birch trees will fill St Ann’s Square, where families can meet magical creatures and characters including the witch from Julia Donaldson’s children’s book Room on the Broom. 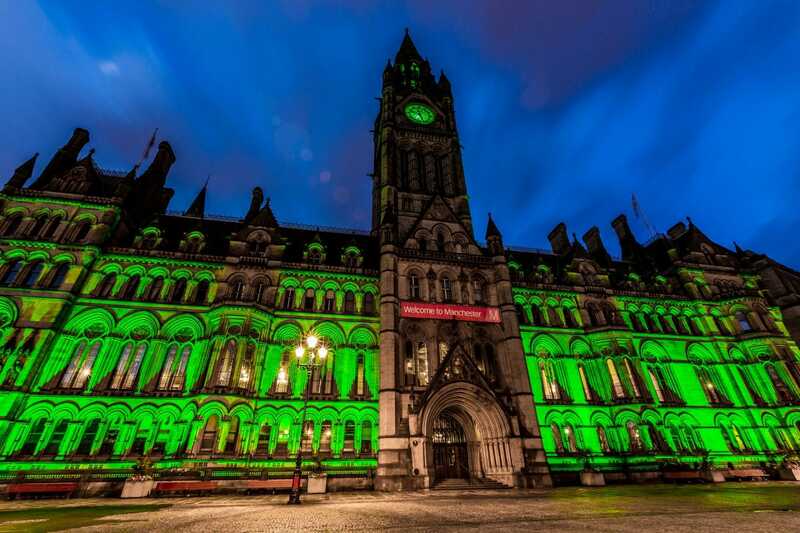 And buildings around the city including Manchester Town Hall, Manchester Hall and Afflecks will be lit up a gruesome green as part of the two-day festival. 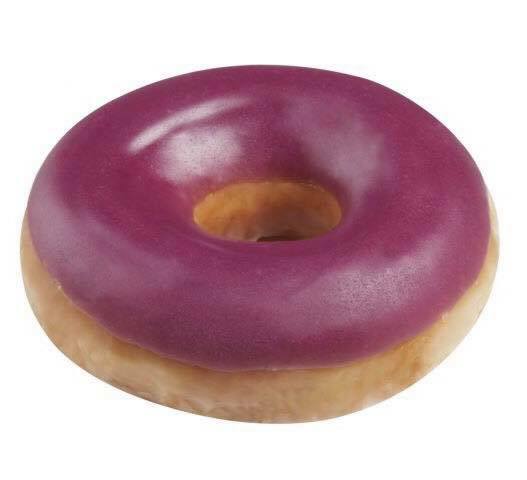 The purple glazed doughnut will be available at the Trafford Centre’s store from October 8 until October 14. But those wishing to buy one will have to know the secret code. There will be no sign of them on the official menu, so customers will need to say “I see Vimto in Krispy Kreme” to the cashier. The new flavour will then be rolled out officially from October 15. Click here for more information. Scary films, fancy dress, getting sweets in for the ‘kids’ that haven’t come trick or treating at your flat in the five years you’ve lived there, it’s no wonder we love Halloween as much as we do. 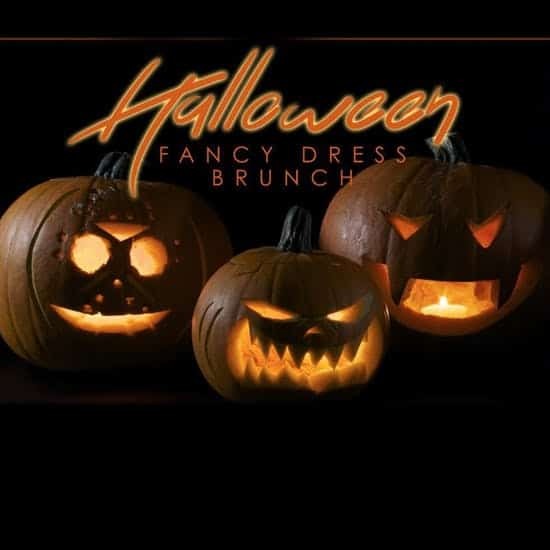 This year, if you fancy something a bit more civilised, you can celebrate Halloween in gruesomely glam style with a three-course late night brunch, complete with Prosecco, and DJ party at Manchester Hall. 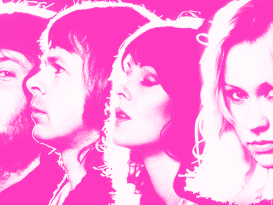 For more information and to get tickets click here. Wave was part of the huge art installation at the Tower of London in 2014, where each of the 888,246 poppies represented one life lost in World War One. 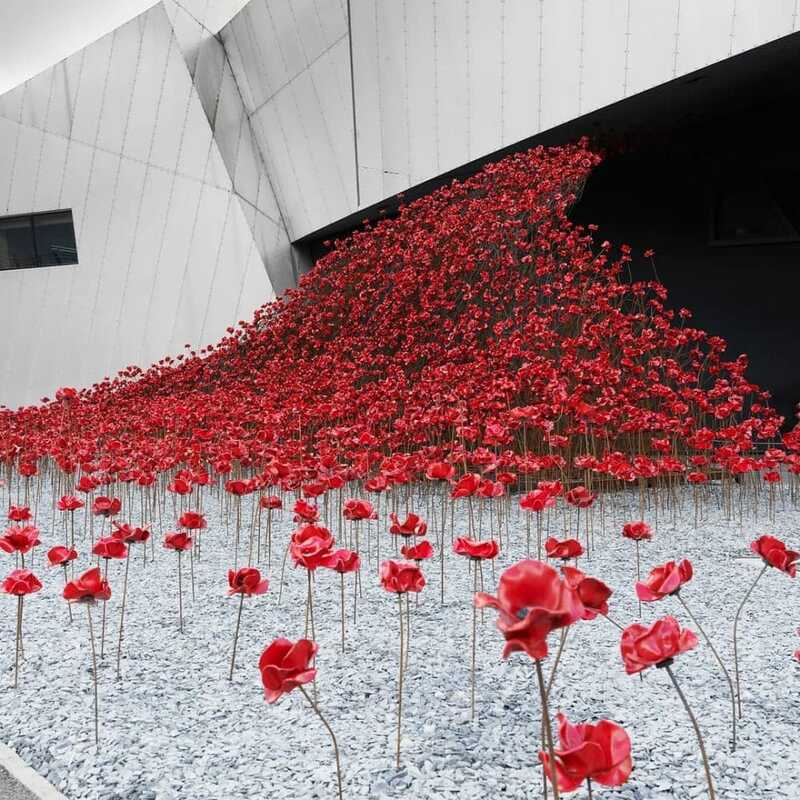 The installation has been touring the UK for the past few years and the Imperial War Museum North will be the final resting place for Wave. The poppies will be on display outside the museum until November 25, when they will become part of the permanent collection. 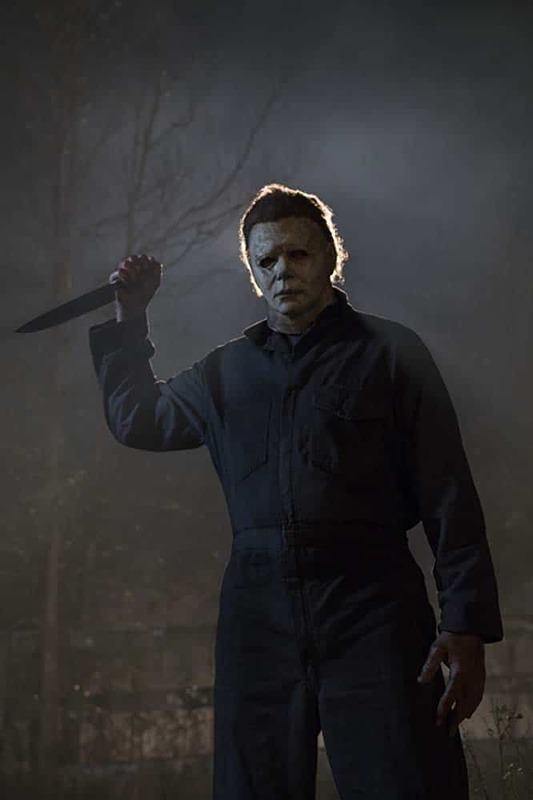 A whole host of big releases are hitting Manchester cinemas this month, with the hotly-anticipated A Star Is Born and dark Marvel flick Venom showing now. Damien Chazelle will follow up La La Land with First Man, his biopic of Neil Armstrong, and you can expect Bad Times at the El Royale too (both 12th). 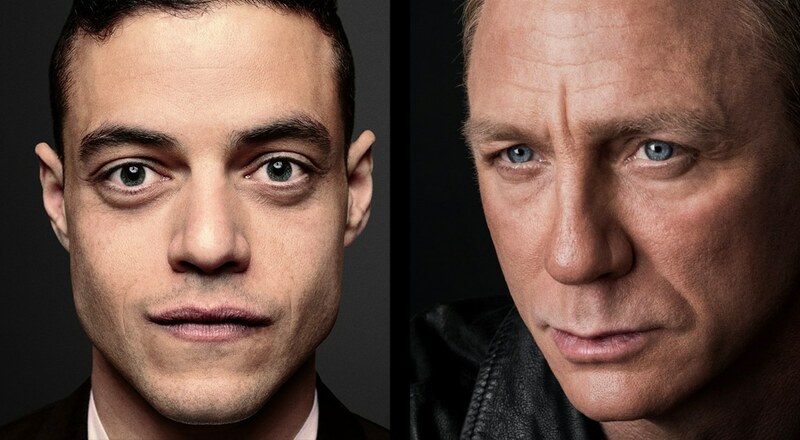 Rami Malek will step into the shoes of Freddie Mercury in Bohemian Rhapsody (24th), and Jaime Lee Curtis will prepare for a final confrontation with Michael Myers in Halloween (19th). Get your tickets here. Oh, and don’t forget that a whole load of films and TV series arrived on Netflix this month! Chocolate fans will be able to create a very special bespoke assortment of their Quality Street favourites at John Lewis in the Trafford Centre, putting an end to families fighting over the chocolate tin. 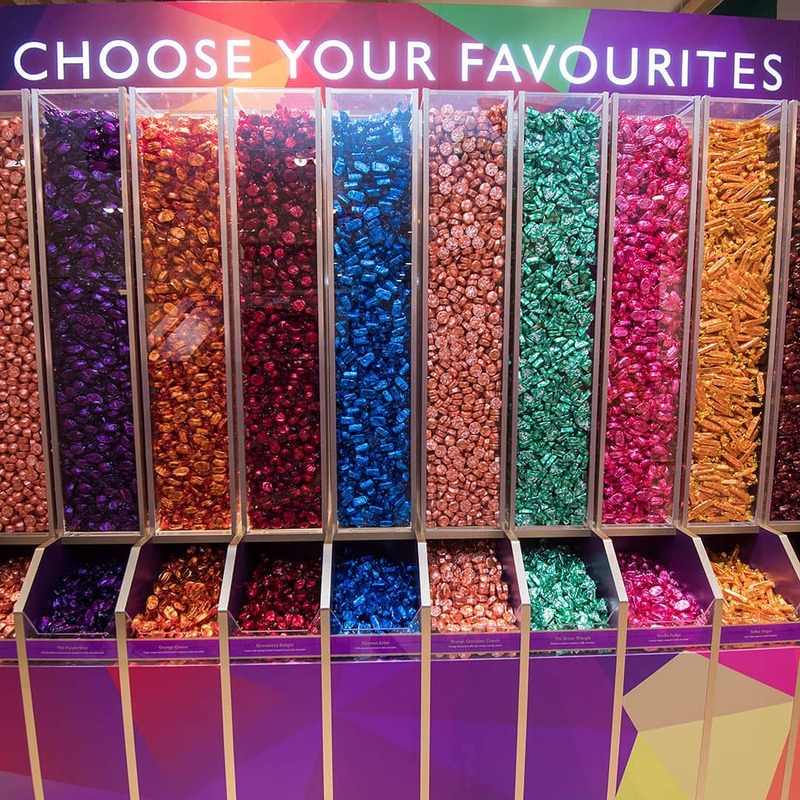 Shoppers will be able to fill a tin with their favourites, whether that’s the toffee penny, the green triangle or any one of the 12 sweets available. And there’s only one rule, you have to pick at least three different sweets, so don’t expect to walk out with a box full of toffee fingers! More information here.